The DRDB (Digital Radio Development Bureau) is reporting that sales of digital radios have hit the 10 million mark, with 5 million of those devices sold after 2007. Digital radio manufacturers seem to be laughing in the face of the recession at the moment, with sales of the devices outperforming the rest of the consumer electronic market both in 2008 and 2009. The industry has seen a 12 per cent increase in home audio systems being sold and a whopping 60 per cent increase in digital radios for the car. The market is now said to be worth around £170 million a year in the UK. One manufacturer who seems to be reaping the benefits of the digital audio upturn is Pure, who has announced that it has sold three million units worldwide. Being that it's a British company this is great news for the UK, with Paul Smith, General Manager at Pure explaining: "Pure has consistently delivered firsts in the digital radio market. We were the first manufacturer to sell half a million digital radios, then one million, and now we're the first to sell three million. "We'd like to take this opportunity to thank the thousands of retail stores that stock Pure radios and, of course, all Pure radio owners. 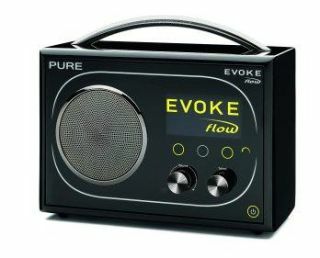 Pure's drive in the growing digital radio market continues with an ongoing strong roadmap for 2010 and beyond." Not everybody is happy with Scott Taunton, UTV Media (GB), Managing Director, pointing out that despite the 10 million sales mark reach, DAB digital radio sales are in decline, with a mere 1.3 million sets sold this year, compared to 2.2 million sold last year. "Today's disappointing DAB sales announcement is a resounding 'no' vote for the government's proposal to switch off analogue signals in 2015," explained Taunton. "While cumulative sales of 10m digital sets prove that DAB is here to stay, there are 120 million analogue radios currently in circulation in the UK. At this rate of sales, it would take up to 60 years to convert them all to digital."